Pesara Garelu or Whole Moong Dal Vada is a traditional Andhra snack made with mung beans, ginger and green chillies. 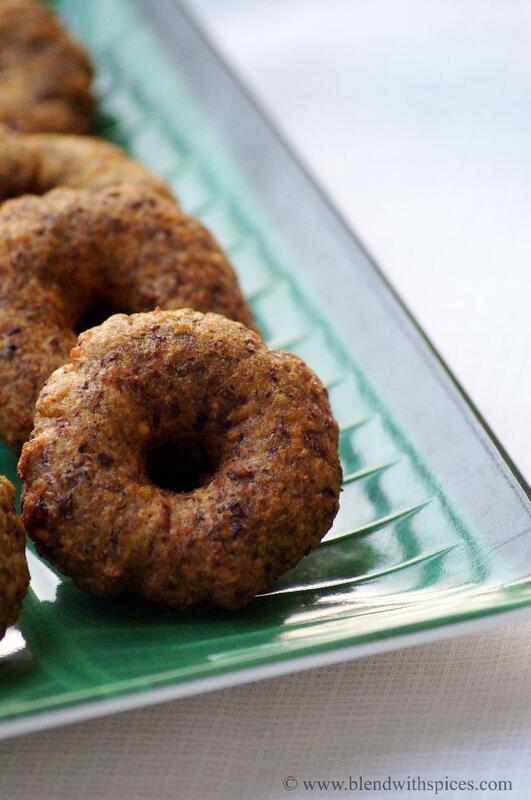 Vada is a South Indian style savory fried donut that is usually made with lentils and spices. These can be served as a snack or breakfast with chutney or sambar. You can also make these as a Naivedyam during festivals such as Makar Sankranti, Ugadi and Dasara. 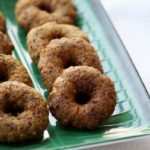 How to Make Pesara Garelu Recipe - Andhra Style vada / fried savory donut made with mung beans, ginger and green chillies. Wash and soak the whole moong dal in a lot of water for 6 hours. Drain the water. 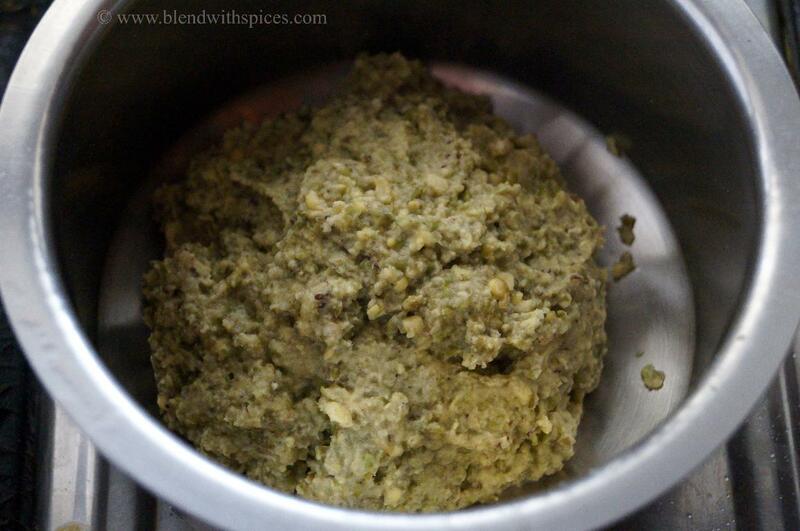 Grind the soaked beans, green chillies, salt and ginger into a little coarse or smooth paste. Use very little water if needed. Wet your hands and take a lemon sized ball of batter and flatten it on your palm or on a plastic sheet. Make a small hole in the middle of the vada so that it cooks evenly all over. Slowly drop it into the hot oil. Fry it on both sides on medium flame til golden brown color. Remove them from oil and serve hot with any chutney. This delicious whole Moong dal vada is new to me..will try it soon. Lovely and tasty looking vadas. Wonderfully prepared. Looks at the shape. They look so perfect. 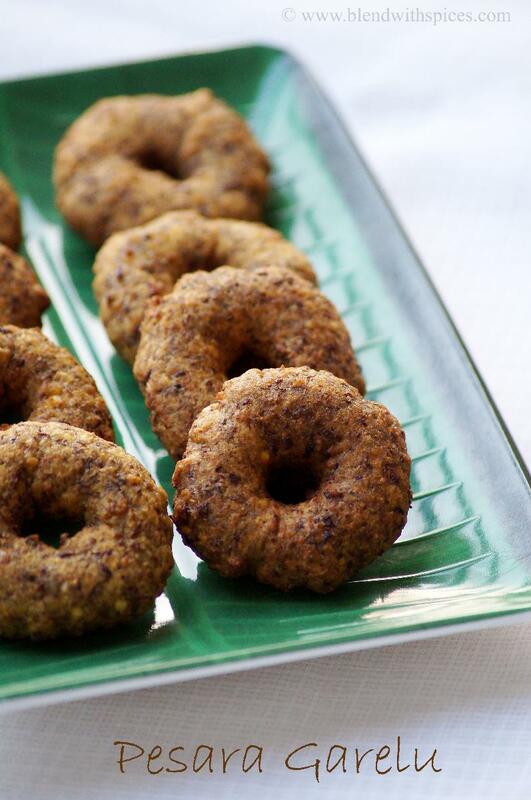 Yummy and healthy….i love these vadas!!! My grandma also used to make these but not in the typical vada shape, just like tiny balls and with a bit of sugar added to the batter. Your moong dal vada looks so perfect and super yummy. Might make them this Shankranti. My neighbour gave me this sometime ago, and I thought I should ask her how she made them. Now I don't need to. Never tried vadas with whole moong, looks superb..